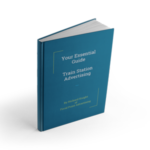 It might not be that you are thinking about stopping advertising completely, but doing the wrong advertising or not monitoring your advertising is almost as crazy as is not knowing how your customers find you and how you need to appeal to them. So, here’s a question for you – How often do you review your advertising? – or are you still doing the same things you have always done with the attitude that if you get more money coming in than there is going out, then you must be doing ok.
As the owner and founder of Focal Point Advertising Solutions, I have been offering traditional, non-traditional and innovative forms of advertising to local, regional and national companies since 1987. We are specialists working in the Outdoor and Out of Home (OOH) industry and in the last 30 years I have never met anyone who has the same level of expertise and who specialises in just this sector of the market. It is a sector that consists of billboards, bus shelters, train station posters, buses, and taxis just to name a few services offered. The industry has changed greatly since we started with just a handful of services to currently over 50. Most of the services we offer would not even be on the radar of most businesses when they are looking at their advertising strategy because they either don’t know about them or perceive them to be out of their price bracket. The good news I have for you is that most businesses of all sizes could afford a number of the services we offer. We are well placed to give you sound professional advice because we purely specialise in this sector of the advertising industry. We are best placed to give you sound professional advice and we can tailor an advertising campaign that will reach your target market with minimal wastage and maximum exposure. When I set up the business with a business partner over 30 years ago, there were literally only 4 or 5 services available – which meant that there was going to be a great deal of wastage. But with the expansion of the industry, this is no longer the case and there is at least one service we offer that will work for most businesses and enable them to reach their target market both effectively and economically. 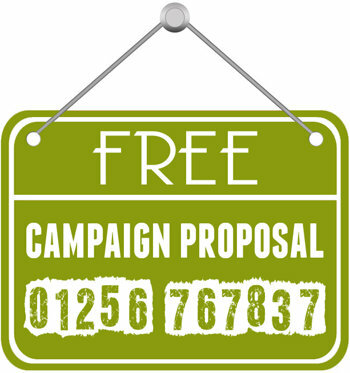 Pretty much all the services we offer can be cherry picked, so even if you just want just one bus shelter or one strategically positioned poster for a very short term promotion, we can offer you this. Furthermore, I guarantee that you will be surprised at the affordability when compared to other forms of advertising you may currently be using to promote your business. We don’t charge for advice and in the 30 years since I set up Focal Point Advertising, business has in many ways become very much more complicated and there are so many things we have to think about. I know from speaking with a number of businesses, that we all try to get our head around everything and try and do it all ourselves, but we can’t – because we just don’t have the time. The great news I have for you is that we don’t charge for advice. We only charge if you buy any of the advertising services that we offer you – and you would not pay us any more than you would pay by going direct to the major suppliers. By working with us, you will get someone who understands the business, someone who will co-ordinate it all for you, and you will get the services of a company and a team of staff who care about you as a person and as a customer. I don’t think that we would still be in business after 30 years if we did not have this philosophy. I don’t apologise for blowing my own trumpet. I know how good we are at what we do and firmly believe that we are the best. I also believe that we should all blow our own trumpets a lot more than we do and that we should not be embarrassed about doing so. All I would ask is that you give us a try – call and speak with myself, Denise, Sarah or Sam in my office and you will very quickly discover how highly client and customer service is placed in our work ethic.